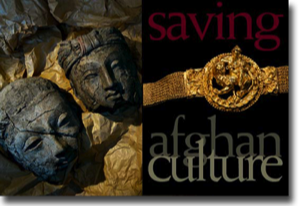 APAA seeks to develop a broad awareness and appreciation for Afghanistan's archaeological heritage, for the purpose of preserving cultural treasures to enhance national cultural identity as well as for the educational and financial benefit of current and future generations. Working with archaeologists, experts and the Afghan community, we develop advocacy campaigns for lost or stolen objects as well as neglected and endangered sites. We provide assistance in the professional training of future Afghan archaeologists within the framework of scientific research. We publish archaeological research results and create publications for the general public and children, give lectures, organize conferences and cultural events. Finally, APAA hopes to motivate future generations to learn about, protect and preserve their unique heritage and further educate themselves and others on the importance and value of archaeological and historical heritages. Thank you for your past support we have delivered the CARE2 13, 028 signatures petition to UNESCO. But we need more to save the site of Mess Aynak and have therefore launched a new challenge with Change.org 50,000 signature petition, please sign and pass around, time is flying, thank you! Provide a repository of archaeological data and information dedicated to Afghanistan's history and heritage. Deliver educational resources suitable for all ages throughout the United States, Europe, and Asia. Bring together a community of Afghans from all over the World to share our culture, crafts, and traditions.